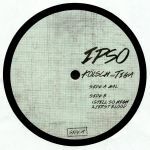 Review: The Kompakt affiliated Kolsch presents the second release on his new Ipso imprint. A collaborative project, his recent club residency in Cologne took the same name and he's back with a brand new collaboration with Turbo head honcho - Tiga. 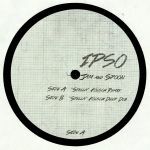 Said to be recorded in a couple days in Kolsch's Copenhagen studio, the pair present three surefire cuts that are ready to burn up any dancefloor - at all hours. From the evocative dancefloor drama of "HAL" with its powerful and catchy analogue melody, some surging adrenaline on the fierce and functional "Still So High" and "First Blood" on the flip: a pounding peak-time weapon that's jam packed full of driving bass and trippy synth textures galore.